(Impressive height) Fashion Designer Ifunanya Igbobi sets to Empower Youths and Less Fortunate women in Lagos. Fast rising fashion designer Ifunanya igbobi has taken the bold step yet again in an attempt to bring home her good deeds ,this time around ,she will be paying a courtesy visit to God kingdoms society event Center located at olakan Ikotun idumu,Lagos where she hope to impact lives by giving out 15 dresses to support Arise ‘O’ Nigeria youth and Women empowerment programme. be traced to her good deeds and professionalism which she has displayed in some of her styles. 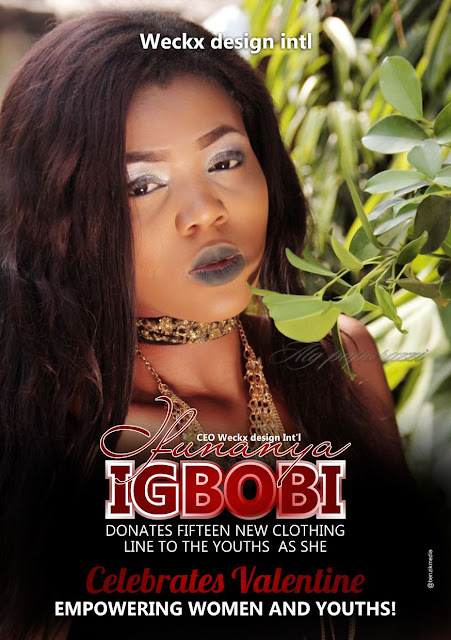 Despite her busy schedules, the Anambra born ex beauty Queen has deem it necessary to carryout the project as her human power allows. 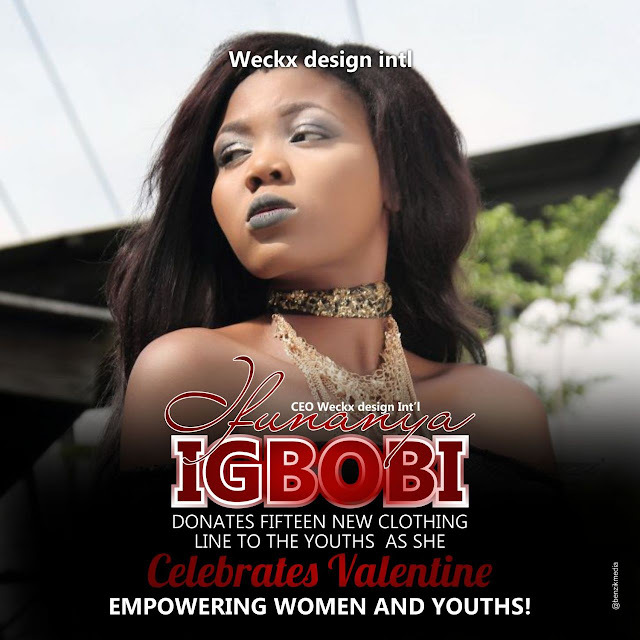 The project is billed to hold on 14th February as she joins host of reputable Nigerians celebrating the Valentine day In a memorable way. We will bring you all the updates as soon as she launches the project.